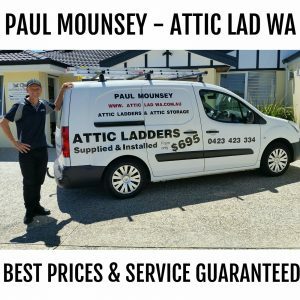 One of my recent Roof Storage projects was for Phil & Jane who live at The Vines in the Swan Valley. 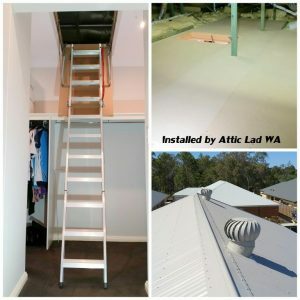 After inspecting Phil & Jane’s roof space it was decided that the best place to install the attic stairs ladder was in the walk- in wardrobe in the main bedroom. 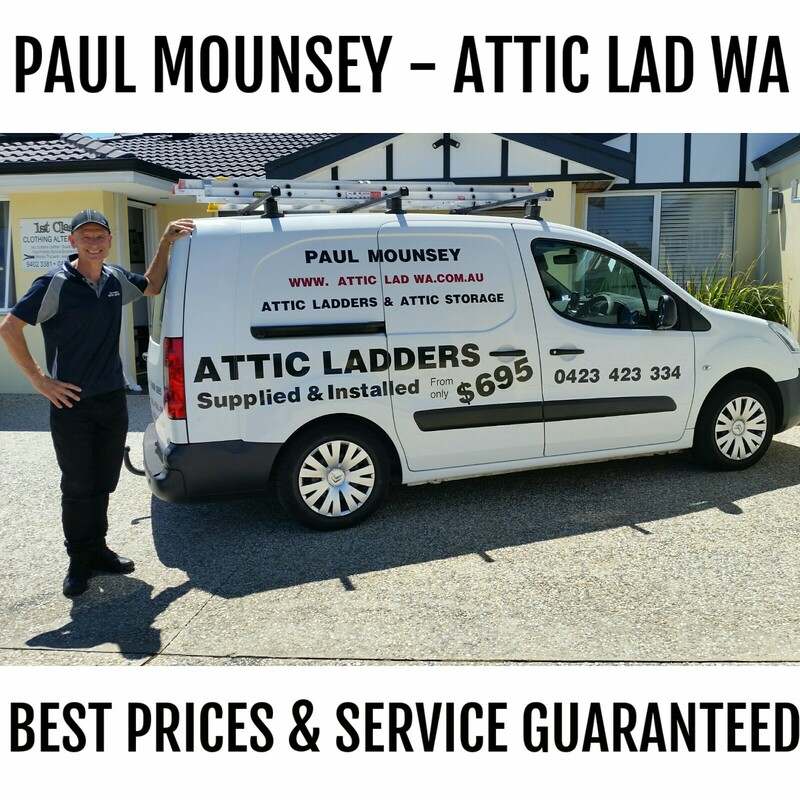 Phil had opted for one of my aluminium extra wide attic ladder hatches which are ideal for getting bulky things in to the roof space. 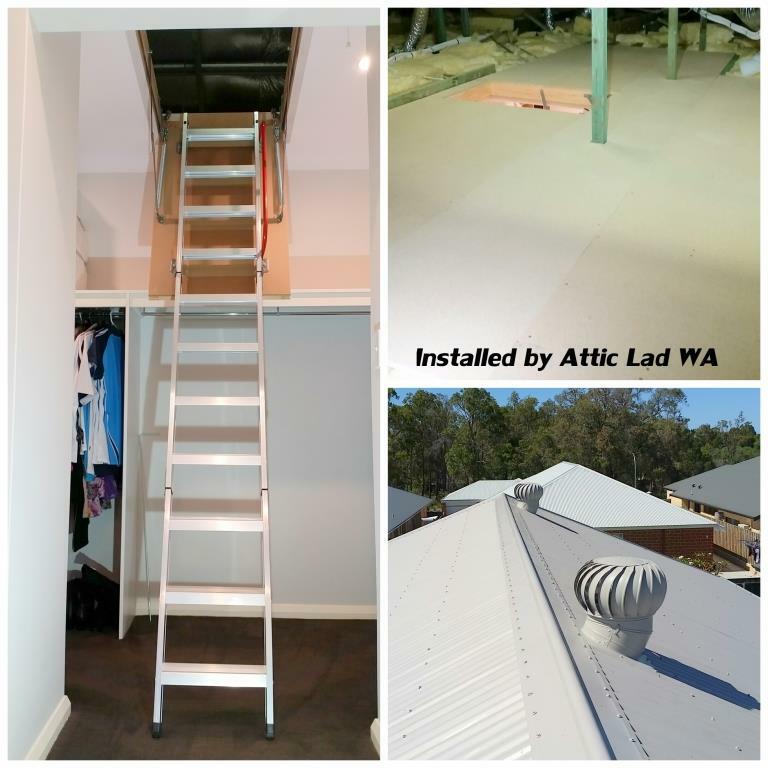 Once the attic stairs ladder was installed we were able to create 12 square meters of very usable roof storage in Phil & Jane’s attic space. Also installed were two whirlybirds. When getting Roof Storage, pay just a little more to have a whirlybird or a turbo-beam whirlybird installed. These types ; both ventilates, will help cool down your roof space. The turbo-beam acts as a natural skylight. These are my most popular whirlybirds that I install. They cost only $220 fully installed. 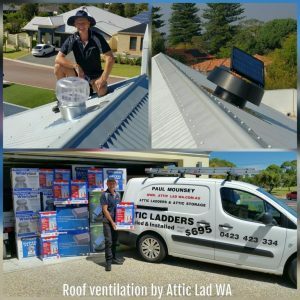 Be sure to have your Whirlybird roof ventilator installed by a professional roof or attic specialist. 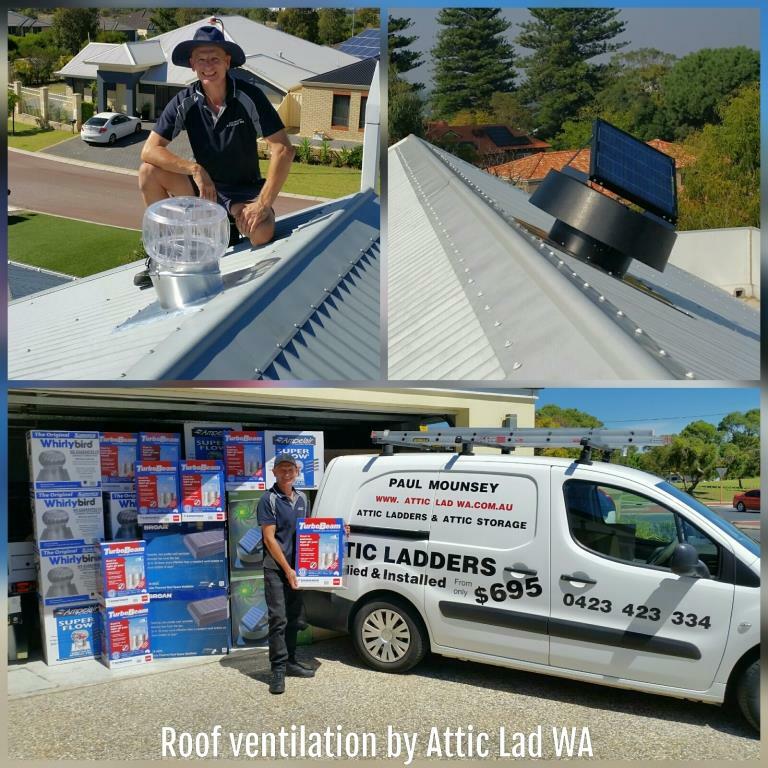 They have the skills and experience to install it in the correct place for best cooling and lighting in the roof space.